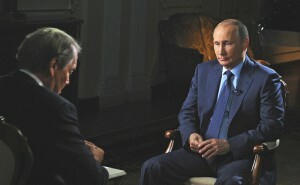 In his interview to U.S. journalist Charlie Rose, Russian President Vladimir Putin has noted that he personally informed the leaders of the U.S., Turkey, Jordan and Saudi Arabia on the establishment, together with Syria, Iraq and Iran in Baghdad, of an information center for the organization of the fight against the terrorist group «Islamic State». Launching the center is the implementation of the proposals of the Russian leadership on forming a coalition with the participation of the countries really interested in the fight against the IS in the Middle East, — says Boris Dolgov, a senior fellow at the Center for Arab and Islamic Studies at the Institute of Oriental Studies, the Russian Academy of Sciences. «Still this is addressed to the countering of the IS in the information field, but not the establishment of headquarters for military operations. The structure that combines the military forces of the coalition has not yet been established. 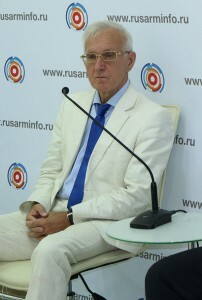 When it is created, the information center will transmit data on the location of the IS militants to the military structures of the coalition, which will cause specific strikes,» mentions in his interview to RUSARMINFO Boris Dolgov. According to the expert, in the information center establishment process in Baghdad for the fight against the IS may participate Armenia. » The accession to the center is in the interests of Armenia. Taking this initiative by the Armenian side will be a productive step. Armenia’s participation can be very effective if it is possible to use the potential of the Syrian and Iraqi Armenians who actively oppose the IS militants and hold much more information than foreign specialists,» concludes Dolgov. Note: The staff members of the center against the IS will be the representatives of the general military headquarters of Russia, Syria, Iran and Iraq. 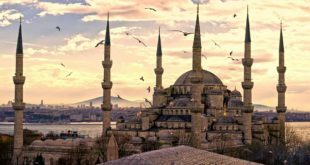 The main function of the center will be collecting, processing, summarizing and analyzing actual information about the situation in the Middle East region, mainly to deal with the IS. In the future, on the basis of the center it is planned to establish the Coordinating Committee for the planning of military operations against the IS.